Fill your space with geranium – this essential oil is thought to release negative memories and emotional tension, so 25 drops in an oil burner or diffuser will immerse you in a room full of healing power. Take a sip of bergamot – historically believed to have antidepressant and anti-anxiety properties, a few drops of this oil can be added to water or tea to help take the edge off of a rough mood. Chamomile is also a popular tea for relaxation, but bergamot has a stronger flavor. Shower with lavender – this plant is known to be calming, relaxing, and sleep-inducing. So create a nice steam treatment by adding a few drops of its oil to your evening shower or bath after a long, busy day. Carry some sandalwood – earthy and soothing, this scent is nice to soak into a cotton ball or cloth that you can carry with you everywhere. It’s presence will support your nervous system as you move throughout the day. Rub on some ylang ylang– 3 teaspoons of carrier oil and 8 drops of this essential oil will create a nice blend to smooth over your skin, to release frustration and restore your sense of peace and confidence. 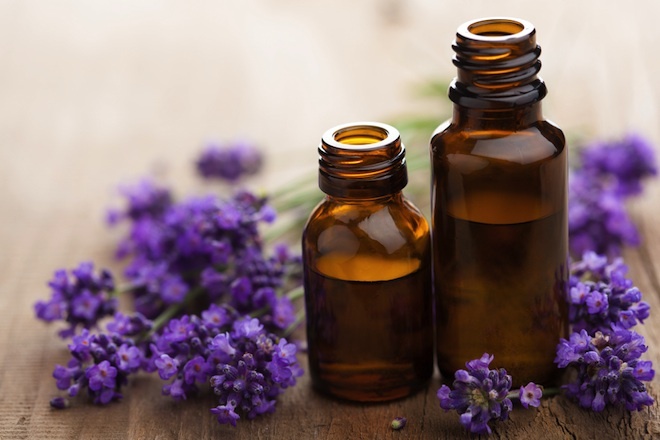 Of course, these methods and scents are just a few ideas to get you started, and there are lots of other oils known to reduce stress and negative moods. Just be sure to educate yourself about the specifics of the oil you choose (e.g. whether it is safe to ingest, sensitive to sunlight, etc.) and test out your sensitivity before applying any particular blend. Enjoy! Lavender the great cure all – think I’ve used it for absolutely everything regarding my family’s health. I’ve found it helped in calming asthma attacks and reduced usage of inhalers. Love bergamot and sandalwood – personal favs. Good list!